Update on the school and events from Willa Wyatt. The school now looks like the original building, with only the brick piers showing. I know you will like the way it looks! The old pine flooring has been purchased and will be delivered soon. The HVAC plan has been determined and I will share the details at our April 13th meeting. Plans for the electrical rough-in have begun. We will be using Kevin Morton with JAS for the work. 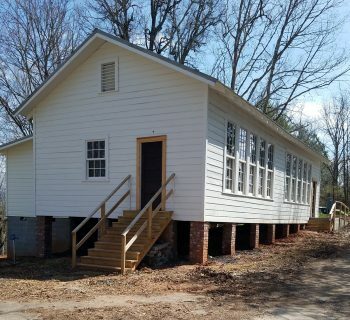 A visual plan, with more details to be developed, has been discussed for the “Historical Look” classroom as well as the “High-Wired” classroom. Susan Russell, Welding Instructor from A-B Tech, will be coming Wednesday, April 4 at 11:15 am to begin design plans for the handrails. Lauren Rayburn has written a proposal for First Bank’s “Dream It” Grant Program entitled “Seeing While I am Living” to honor Charity and requesting $8,300 to fund purchasing flooring and establishing two handicap parking spaces. A request to the Madison County Board of Education is being presented to officially change the name of our school from Anderson Elementary to Mars Hill Anderson Rosenwald School. Our traveling museum panels will be on display at UNCA, Reuter Center from Tuesday, April 3 through Friday, April 6. The OLLI Inclusion program, More Than a Monday, includes the Rosenwald Film showing with follow-up discussion by Charity Ray, Fatimah Shabazz, Oralene Simmons and Omar McClain on Friday, April 6, 4:30-6:30 PM in the Manheimer Room, Reuter Center, UNCA. Come attend, no reservation required. SUPRISE, SUPRISE: Julius Rosenwald’s great, great granddaughter, Helen Ann Hess, and her husband, Craig Kaplan, will be attending the OLLI Program. They will be visiting OUR SCHOOL on SATURDAY, APRIL 7 at 10AM. I have shared with her that we will have alumni and friends at the school to greet her. 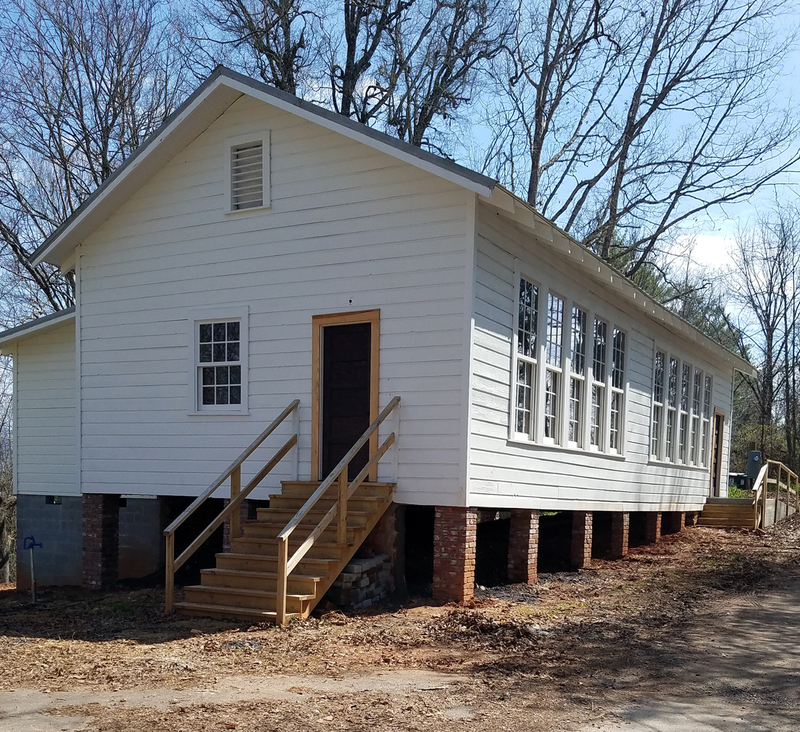 She has never seen a Rosenwald School before! Come be with us and bring a friend. Update: The visit by Helen Hess was canceled due to illness. We hope that she will be able to visit in the future. Lots of good things are happening thanks to you!